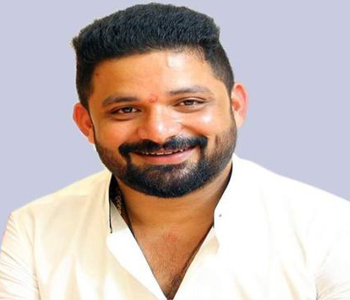 Mangaluru, 23 Mar 2019 [Fik/News Sources]: After days of speculation, District Youth Congress President Mithun Rai likely to be the Congress candidate of Dakshina Kannada Lok Sabha constituency. However, official announcement is yet to be made. He will take on BJP’s Nalin Kumar Kateel, the two time MP. There was an intense tussle for the Congress ticket from DK with several heavy weights including Ramanatha Rai, Vinay Kumar Sorake, B K Hariprasad and others in the race. All of them were summoned by the High Command which eventually finalised the name of Mithun Rai. It may be recalled here that Mithun was a strong contender for a party ticket from Moodbidri Assembly constituency during the previous election but had to finally give in after the party fielded the then incumbent MLA Abhayachandra Jain. It was then stated that Congress President had assured Mithun a Parliamentary ticket. Fikrokhabar is not just an online newspaper rather, this is an institution and its main objective is to use media and innovative technologies to spread Allah's message of love and truth to humanity, youth and scholars, offering the right solution to educational, cultural and social issues related to social society. Along with successfully doing a great service, we are also preparing the new generation for the right leadership of the nation by moving ahead in the academic field.